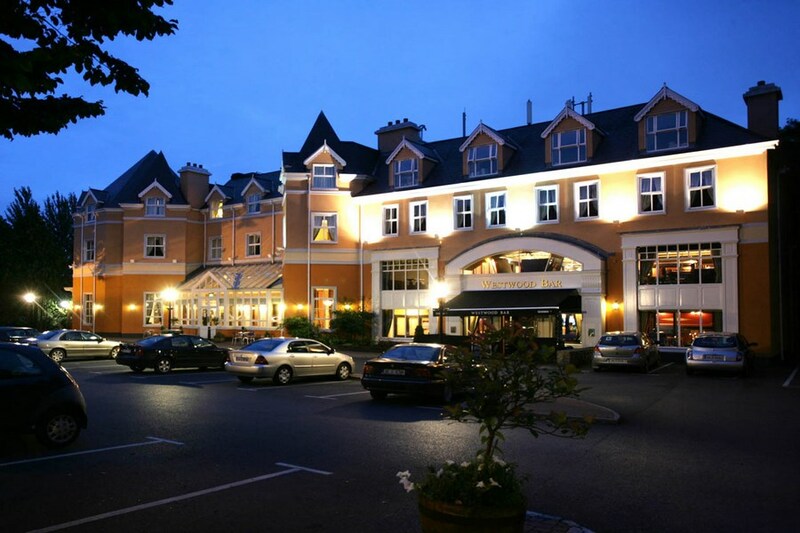 Welcome to the Westwood Hotel Galway, one of the finest Luxury 4 Star hotels in Galway City & County. Combining the warmth and elegance of the finest country house with all the facilities of a modern four star hotel. Galway is an exciting vibrant city with many attractions - good shops, music, food, drinks, Saturday market etc. The city was strongly influenced by Spanish and you can still see monuments with Spanish such as 'The Spanish Arch'. Wonderful hotel, very clean, comfortable and warm. Staff friendly breakfast beautiful. Will definitely stay again . Great food, great service lovely hotel!! Lovely hotel, had a great stay. This was our second time in the lovely hotel. The staff were friendly and very helpful. Rooms were clean and comfortable and very cosy. We dined in the restaurant and found the food very good, the only thing I would say is that the portions very huge !! and that is not a bad thing. Overall we had a lovely weekend and will be again soon ! Very happy with our stay. Bed very comfortable. Breakfast great. Staff very helpful. Hope to return. A great hotel to stay booked in Sun 6th Oct 2014. Lovely Receptionist greeted us, the room was very comfortable and the morning breakfast was was very good. Looking forward to staying again. Stayed there Sunday night. Great Value and service. Only minus was the Caesar Salad on the Bar menu - it was just thick potato in too thick sauces and olives. Otherwise excellent. we found the Westwod Hotel excellent in every way. Efficient and relaxed with lovely food and very friendly staff. We will be back! Many thanks. Like most 4 stars in Ireland for my standard this is not a four stars but a 3 stars. The staff are nice and very helpful. No amenities on site for children. They cater for vegetarian. We stayed on room 208 and it's was a nice and bright room. We had a wonderful stay in this lovely clean hotel with most helpful friendly staff. Breakfast was excellent with lovely freshly cooked full Irish. Will definitely be back to stay there and would highly recommend it to anyone visiting Galway. We stayed in the Westwood a number of years ago. We were impressed with it then and were not disappointed on our return visit. 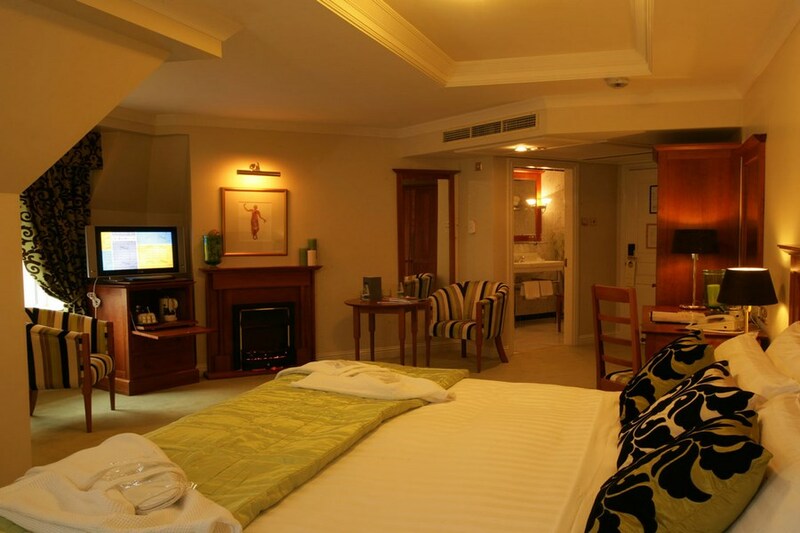 All the staff were very friendly and helpful.The rooms were very comfortable and clean. The food and service was excellent. We really enjoyed our stay. What can I say, it was fab as always, staff were friendly and service was excellent. 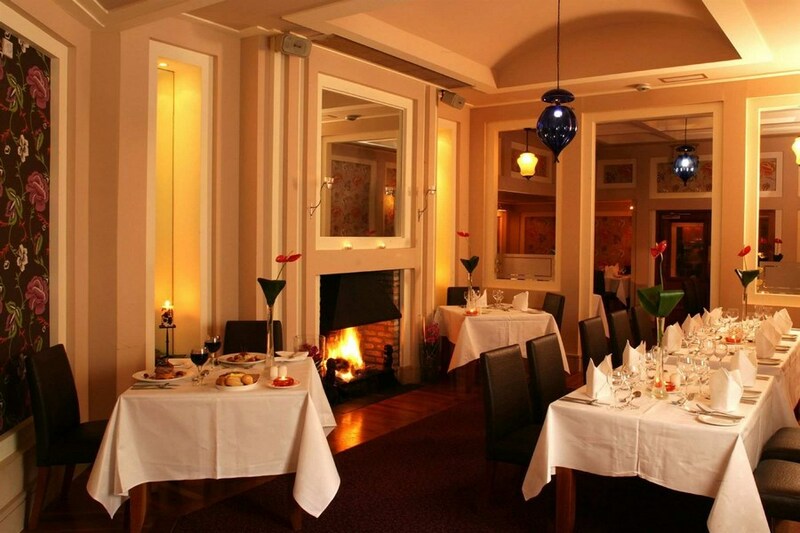 We would not stay any where else but the Westwood hotel when we go to Galway its the best. Great Hotel very friendly staff good bar food. Breakfast was very good. would stay again. What a lovely hotel, rooms were nice and warm and the staff couldn't help us anymore they were so nice and helpful. We had a beautiful dinner with the food coming out nice and fresh and hot. Would recommend this hotel to everyone. Excellent hotel. Wonderful staff, all so polite and friendly. Food was georgous, had dinner in restaurant, steaks were super but what I love most about this hotel is the breakfast, I have to say that they give the best hotel breakfast, great variety of fruits , cereals and pasteries. The hot food is freshly cooked to order and is always just lovely. Cannot praise this hotel enough, will be back again. We had a lovely time and really enjoyed our stay. Definately will be back. hi review team. we really enjoyed our stay in westwood.very pleasant and relaxing.we were sorry we had made dinner plans elsewhere as food and ambience seemed fab. The Hotel was lovely, breakfast was great, room was very comfortable, maybe a little outside Galway if you didn't have a car. No complaints whatsoever. I had a short stay but it was a fantastic experience. Staff very helpful, corteous, friendly but at the same time very professional. I phoned hotel day in advance to seek possibility of an earlier check in (nearly 3 hours earlier than usual) due to my engagements in Galway and I was told they see what it could be done. When I arrived at hotel, very early, my room was ready! Did not avail of restaurant and bar facilities but food quality at breakfast was of a very good standard and service was first class. Rooms were also of a very high standard, clean and spacious and also lots of choice of TV channels and free WI-FI throughout the hotel. Will definitely return to the Westwood Hotel for my next stay in Galway and recommend anyone looking for a place to stay near city centre to do the same. Spent 1 night of the St. Patrick's weekend in the Westwood. It was a most enjoyable stay and even though there seemed to be a large wedding that night the service all around was very good. We were upgraded to a superior room on arrival, which was very comfortable. Breakfast was very enjoyable also we would have liked to avail of the dinner also but were unable due to prior arrangements. Certainly would have no hesitation in returning / recommending it. Stayed Saturday 9th Feb 2013. Girls night out so we had 2 twin rooms. Rooms were lovely and spacious. Hotel was beautiful, staff were friendly and helpful and the food was excellent. 5 minute taxi ride to city center. Would highly recommend. This is a good hotel but I question its 4 star rating. If you do Lild breaks you get a basic room - without bathrobe, bottled water and good quality coffee. In my experience with a 4 star hotel one should'nt have to pay for room service. The quality of food in the bar is good but not great. Its pretty standard pub grup. Great hotel with good sized rooms, very helpful staff and a wonderful menu for both adults and children alike. We had a wonderful stay and will be back again! Very relaxing break away. Spent 3 nights over the mid term with our 8 year old. Hotel was very busy which was good to see. We had to queue for breakfast for a few minutes, which was no problem. The buffet selection was good and the hot breakfast was very tasty with good quality sausages rashers etc... The hotel is well situated for travelling into Connemara without dealing with the city traffic. Staff were very pleasant. Evening meals which we had on the three nights were of a very good standard for a hotel. The steak was as good as I've had in a long while, had it on two nights, requested medium rare and got it medium rare, wife asked for medium and again was spot on. There was an excellent selection of pay movies for €5, all new dvd releases in the room. The bed, breakfast and dinner option represent excellent value. Have used similar hotel deal websites and this hotel is head and shoulders above them. excellent accommodation and food. short taxi ride into city.loved this hotel and would return. We stated at this hotel for one night. We were welcomed on arrival by a very pleasant member of staff. The room was clean and very comfortable. We had a very pleasant overnight stay and a very nice breakfast. No complaints whatsoever. Fantastic hotel. Brilliant staff. Food & its presentation, out of this world. Absolutely lovely hotel - rooms nice and big. Lovely bar attached to the hotel for an enjoyable drink. The Breakfast was excellent, plenty of choice -whatever your taste. If I was heading to Galway I would book this hotel. Fantastic hotel to stay in lovely friendly staff very helpful and polite this is so rare nowadays The Westwood is the best hotel we've stayed in in Galway the food is really good and not at all overpriced well worth it ! and the same for drinks too! Our rooms were roomy and spotlessly clean comfy beds as well. Will be staying here again when next in Galway, Thanks to all ! Westwood hotel was a pleasure to stay in, and its location was convenient to the city aswell as very quite at night time. The hotel was spotless and our room was very clean, spacious and comfortable. The staff members were very friendly and helpful at all times. really enjoyed our stay here, had my teenage son and his friend stay in an adjoining room which was ideal as i could keep an eye on them. Could not fault the rooms , very clean modern decor and spacious.Breakfast was excellent . only fault i had was meals in the bar were very expensive especially if you had to feed a family ... would be nice also if the bar had some entertainment for guests ...Staff were all very friendly and welcoming .will be returning .